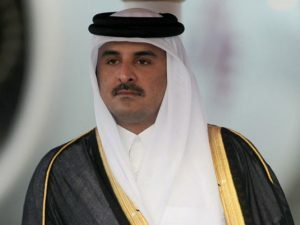 Qatari citizens known as close to the countries boycotting the Emirate have announced they would announce a Qatari government in exile in a move to demand political reforms in the Gulf gas-rich country. The announcement could be made this Saturday, according to unnamed sources quoted by London-based Middle East Eye. Figures leading the initiative include Sultan Bin Suhaim al-Thani, a member of the ruling Thani tribe, Abdullah bin Ali al-Thani known as close to Saudi Arabia, Fawaz al-Attiya, a former Qatari official and United Arab Emirates’ protégé Khaled al-Hail, a businessman. Khaled al-Hail was organizer of the Qatar, Global Security & Stability Conference held in London in September. The conference pondered on political reforms and regime change in Qatar. The UAE was rumored to be the sponsor of the conference, which was attended by media commentators, politicians and former army officials from Israel and United States as well from the UK. Qatar has been isolated since June by Saudi Arabia, the UAE, Bahrain and Egypt over its alleged support for terrorism. Doha has vehemently rejected the charges saying it is victim of a smear campaign. Posted by KanelkaTagba on Oct 13 2017. Filed under Gulf News, Headlines. You can follow any responses to this entry through the RSS 2.0. Both comments and pings are currently closed.